TimeZone : TAG Heuer / Heuer » N E W M o d e l - TAG Heuer Connected Modular 45 "Golf Edition"
Designed specifically with golfers in mind, the new TAG Heuer Connected Modular 45 "Golf Edition" is linked to the TAG Heuer Golf app, which enables players get the most out of their rounds of golf no matter what course they're playing on. In line with its tradition of avant-garde watchmaking, in 2015, TAG Heuer became the first brand to develop and commercialise a trend-setting, fully functional smartwatch. Following the introduction of the second generation in 2017, the Swiss watchmaker now combines its passion for sports and innovation with its interest in the world's number one individual sport. 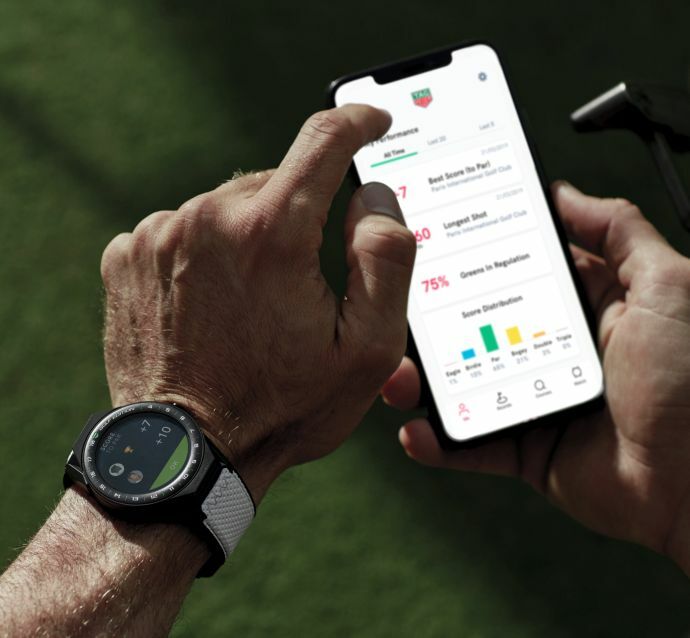 The TAG Heuer Connected Modular 45 "Golf Edition" and the unique 3D course mapping available with the TAG Heuer Golf app are must-haves for every golfer. 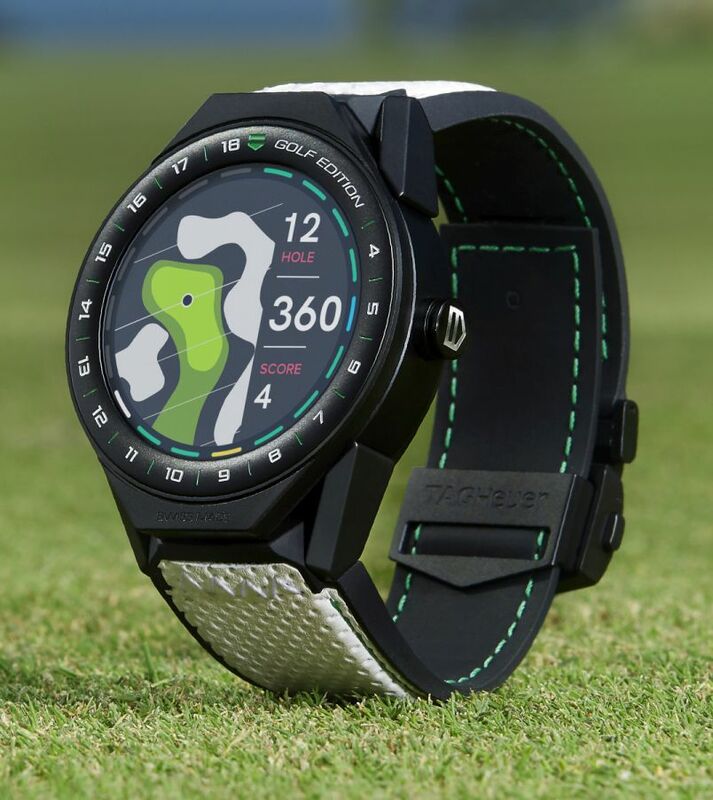 TAG Heuer Project Manager Matthieu Soudan says: "The TAG Heuer Connected Modular 45 'Golf Edition' was designed specifically for golfers and anyone who is fascinated by the sport. Every aspect of the smartwatch and the app from design to function was created to enhance the player's game. Off the course, the watch is a stylish accessory that features cutting-edge digital technology. It's important to point out that it is, first and foremost, a connected watch, which means that the Golf app is only one of many other apps and functions that can be used with the timepiece". 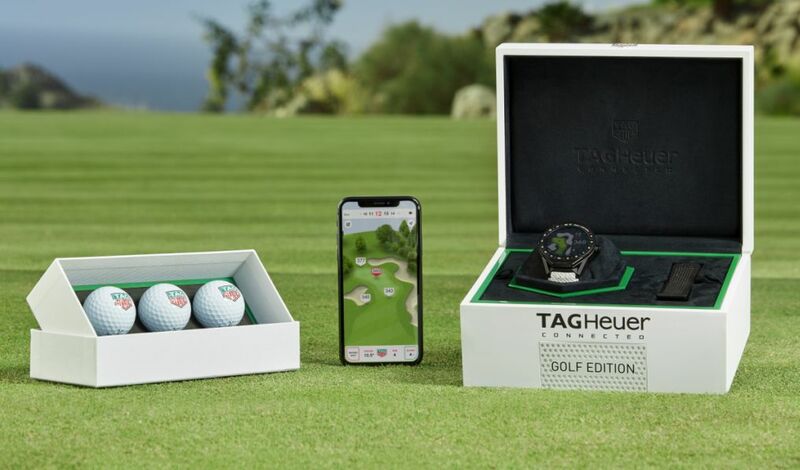 The TAG Heuer Connected Modular 45 "Golf Edition"
For the first time ever, the Swiss watchmaker has developed an app for iOS and Android smartphones. 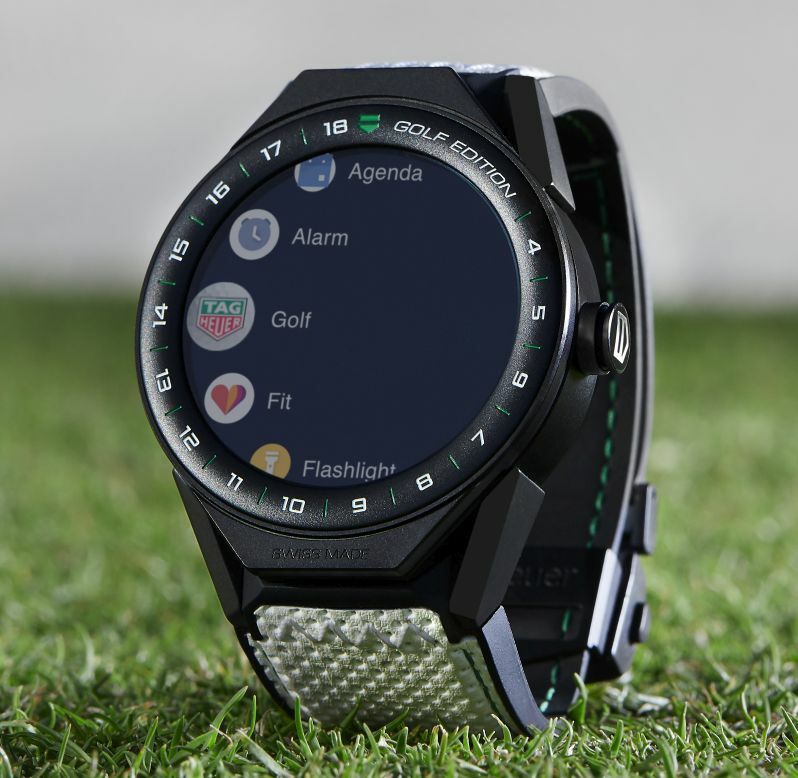 The Golf app is available to download for free and can be used on the TAG Heuer Connected Modular 45 "Golf Edition" as well as other TAG Heuer Connected Modular smartwatches. Delivering key insights to improve performance, recording shot distances and scores, and displaying 39,000 golf courses around the world with precise 3D mapping technology, this app is more advanced than any similar technology currently available on the market. This professional sports watch and the app can even be used in amateur tournaments. 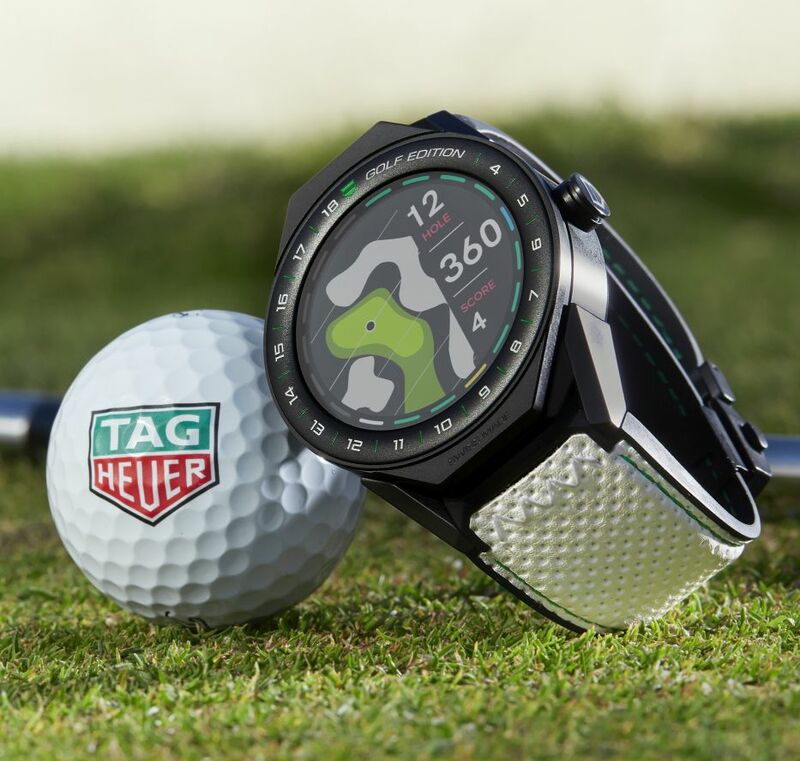 At-a-glance information about distances to greens and hazards: The TAG Heuer Connected Modular 45 smartwatch displays distances to greens and hazards. The easy-to-read information has incredible precision that is accurate to within one metre. The position is captured on the watch using the integrated GPS sensor. Easy-to-read 2D and 3D course mapping: This "Golf Edition" smartwatch stands out with its unique interactive 2D course mapping. On the phone, highly realistic 3D renderings provide the best view of the course. 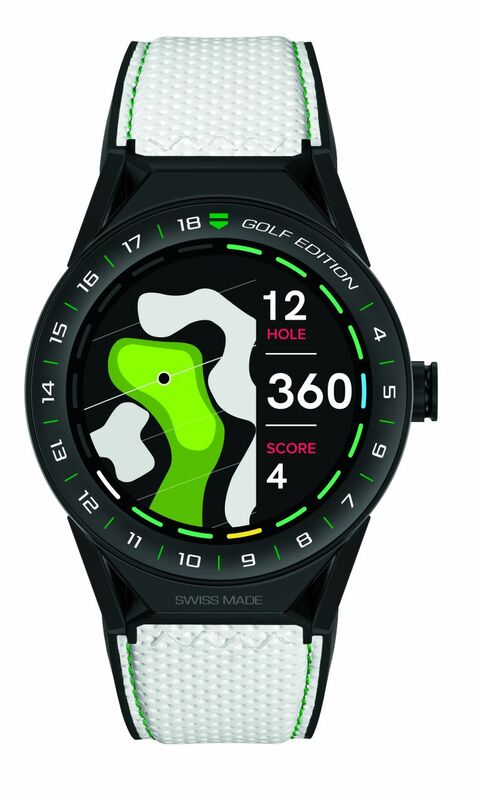 Rather than just displaying distances, the TAG Heuer Connected Modular 45 "Golf Edition" displays high-end mapping of the entire hole using vector technology that shows the course in more detail including the bunkers, fairways and rough compared to the satellite mapping technology used by other similar apps. The maps are interactive and scrollable. Record scores for up to four players: Taking the game into the twenty-first century, the app replaces the paper scorecard with an interactive alternative. Within seconds, the player can enter the wearer's score and those of their golf companions and keep track of the leader board as they go. Whether they choose stroke play, match play or stableford, the TAG Heuer Golf app can keep track of the score on the wearer's wrist. The case, in sandblasted titanium with black titanium carbide coating, measures 45mm x 13.7mm. Black PVD titanium caseback. Single push button in steel with black carbide coating and black line at 3 o'clock. Microphone at 3 o'clock, proximity sensor at 6 o'clock visible on case back. Water resistant to 50 meteres. Bezel in black ceramic matet finish and 18 hole numbers laser engraved and filled with white lacquer. The "movement" is an Intel Atom processor, with 512MB of memory and 4GB of storage. The touchscreen has a 400 × 400 screen resolution and 287 ppi., and is covered by a scratch-resistant sapphire crystal. It has multiple sensors, including GPS, NFC, an accelerometer, a gyroscope, a tilt detection sensor, a microphone and a vibrations haptics engine. The battery is 410 mAh with up to 25 hours battery life for normal usage. It comes on a white synthetic leather strap with rubber lining and green stitching. It also includes an additional black rubber strap. It is delivered in a special packaging that includes three golf balls.